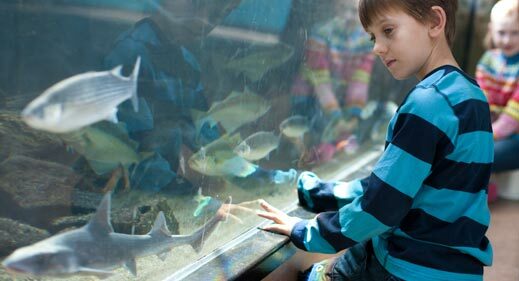 The National Marine Aquarium in Plymouth is a great day out with lots of things to do. 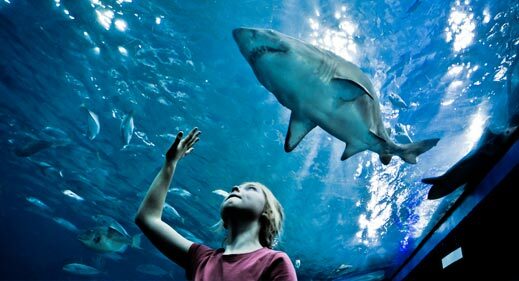 It includes the Atlantic Reef - the largest cold-water exhibit, the Mediterranean exhibit and the deepest aquarium tank in Europe. 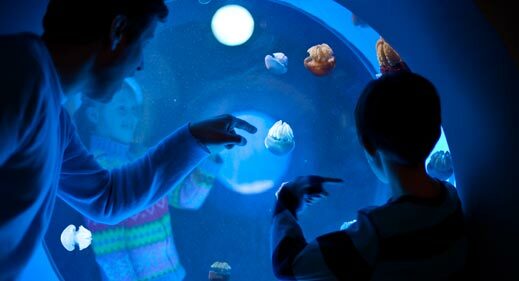 This is a great place for school trips to learm about oceans and sea life. To round off your visit there is a Gift Shop and Cafe.